'Scuse me while I go fetch my cane to shoo the kids off my lawn. One thing I don't get is the YouTube star — the obnoxious Pauls, the teen singers, that very depressed lady who hoards animals. (That they are pulling in six figures, while I'm, um, not is ... another story.) That's entertainment, I guess. But, Miranda, I get you, girl. 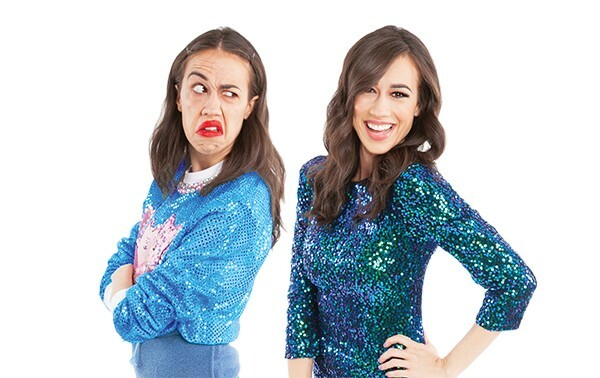 Miranda of Miranda Sings is the brainchild of Colleen Ballinger. Her creation is rude, oblivious, and obnoxious. Ballinger based her on the talentless women from her college who put it all out there. Miranda does, indeed, sing — badly and off-key. You haven't lived until you've checked out her rendition of Adele's "Hello." The break-out star in this video is the toilet. Miranda also appeared in Jerry Seinfeld's Comedians in Cars Getting Coffee. Consider this a bottle episode from the usual go with the richer-than-god men puffing each other up. The younger comedian baffles her elder with her ignorant arrogance. She acts as if she's never heard of him. Her YouTube version of the meeting is titled "How to be Famous." Two of Miranda's chief traits are her overdone, outside-the-lines, bright-red lipstick and her mispronounced words, like liptick instead of lipstick. Ballinger has parlayed these tics into a book, a Netflix show, and a tour, which rolls into the Orpheum on Sunday, August 12th. So, yes, Miranda, I get you, and as Miranda would say herself, "Haters, back off."